Orange County Government recently kicked off its fifth annual Orange County Experience at its Fire Rescue Headquarters. The program provides a behind the scenes look at Orange County Government and its services. Orange County Government kicked off its fifth annual Orange County Experience on Aug. 26 at its Fire Rescue Headquarters in Winter Park. The interactive series is designed to provide citizens a behind the scenes look at Orange County Government and how a local municipality works. The 12-week program offers Orange County residents the opportunity to learn more about Orange County and the vital services that the County provides ranging from technology and infrastructure, to neighborhoods and health and family services. 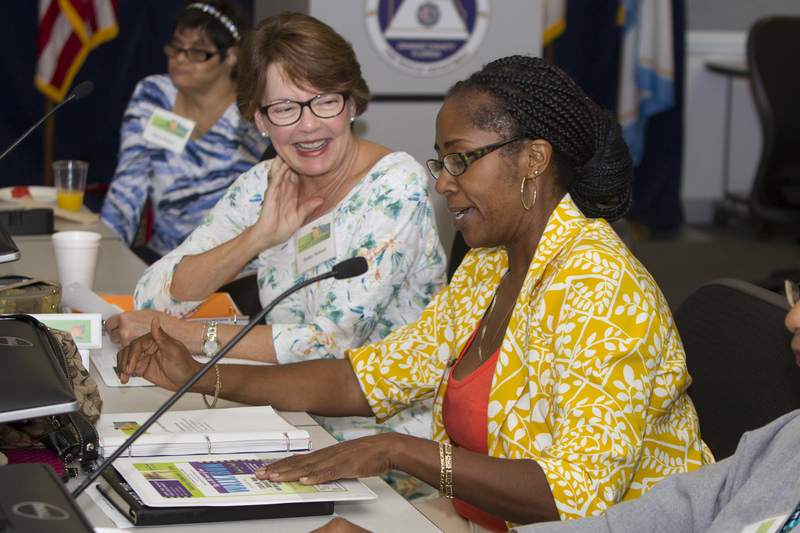 “Citizens learn about Orange County’s budget, how their tax dollars are spent and they get to see employees working in action,” said Carol Clark, Office of Public Engagement and African-American Affairs for Orange County Mayor Teresa Jacobs. During the series, participants have the opportunity to meet Orange County staff and take tours of various Orange County facilities including the Orange County Convention Center, Fire Rescue, Parks and Recreation and more. Graduates of the program often go on to serve on county citizen advisory boards and continue their service through other volunteer opportunities. After recently moving to Orange County, Cathy Alphin and her husband enrolled in the program to learn more about their local government after spending many years working for the U.S. Department of Defense in Washington D.C.
To view photos from the Orange County Experience kick off, visit Mayor Jacobs’ Flickr album.